Jake asks about the secret to throwing well. Stacy says practice is the only thing that makes you better. There are lots of shared chuckles about the chicken wing throw. When asked about their favorite memories, one in particular stands out; When they made it to the finals of the US Open, in the Open Division with Steve Hubbard. Grace Jones, Slave to the Rhythm, was the song of choice. It was a magical experience. 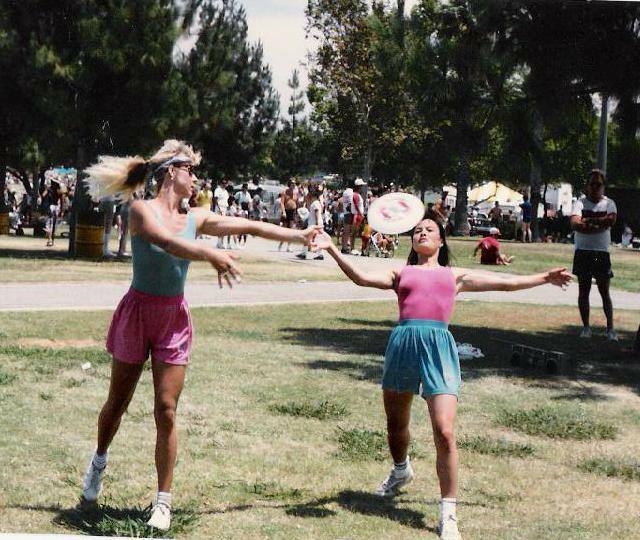 They also share how The Grateful Dead played into their frisbee experience. Stacy went on to play longer than Carolyn, and did some cool things internationally with Amy Schiller. They explain why they stopped playing. It was for similar reasons; they pursued careers and had children. How cool would it be if Carolyn and Stacy had a come back?! « Poll: What Do You Do When the Weather Turns Bad?